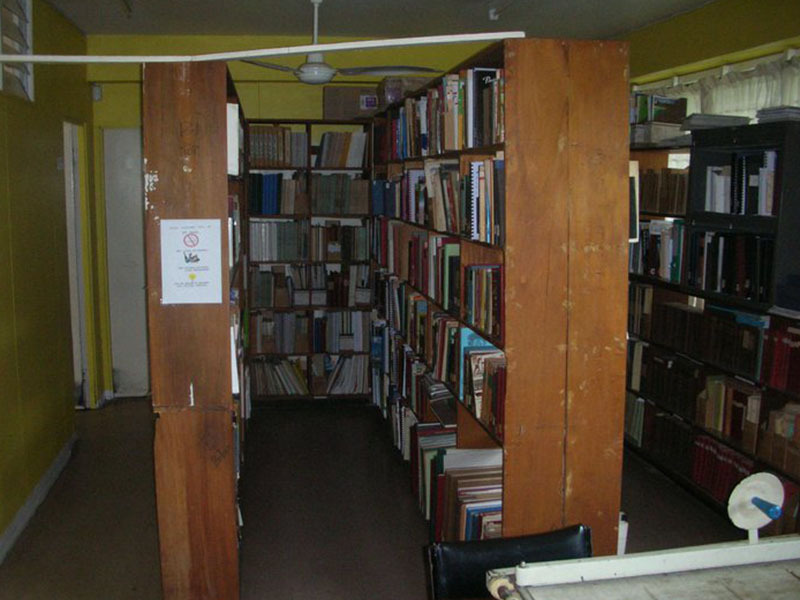 The Fiji Museum maintains a Reference Library and Archive containing over 12,000 books, 11,000 photographs and other documents. The Reference Library and Archive has items not held in any other library in the world, including maps, old newspapers, oral history cassettes, rare books and a range of small brochures and pictures not in book form. Originally established to support the Museum staff in their work, the Reference Library and Archive is now also open to the General Public. Anyone is welcome to consult the library, however there is strictly no borrowing or inter-library loans. 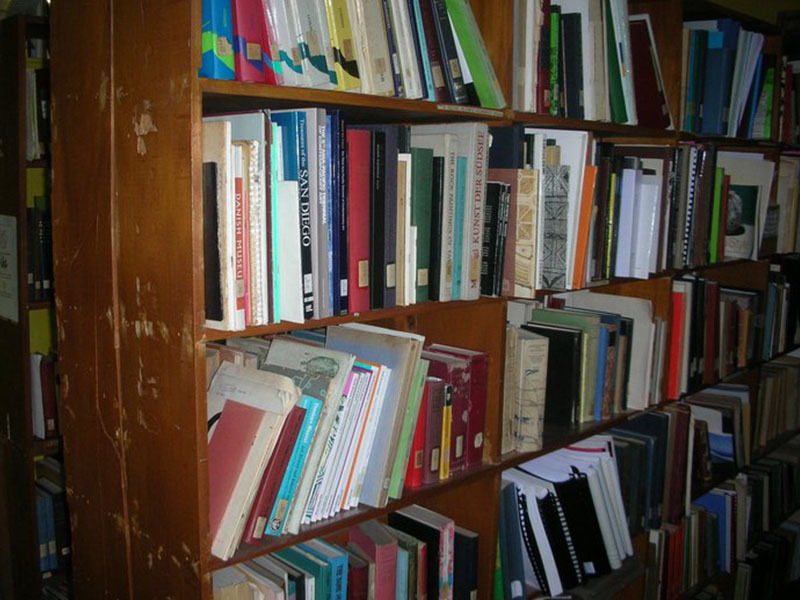 This rule is to protect the out-of-print and often irreplaceable material which has been collected. 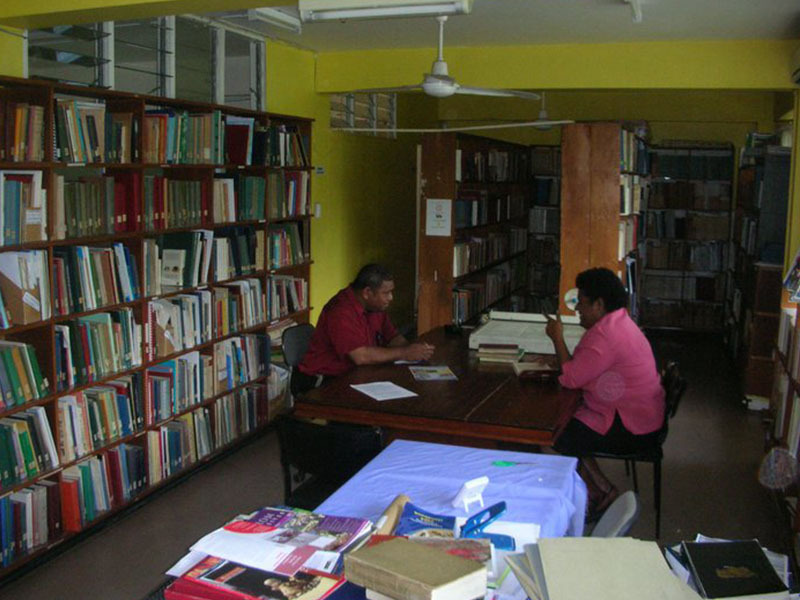 The Library represents the interests of the original members of the Fiji Society from 1938, as well as the succession of Fiji Museum Directors. It has a main emphasis on Archaeology, Anthropology and History of the South Pacific, Ethnology, Entomology, Ornithology and Other Natural History, Primitive Art, and Museology. Readers intending to use the reference materials, particularly those coming from outside Suva, are requested to contact the Museum before arrival to enable Collection Department staff to prepare their documents.